I received The Destruction Book Series in exchange for this post. All opinions are my own. Boom! Crash! Pow! Bam! I can’t think of better words to describe little boys. Growing up in a house with only sisters, I did not fully understand the nature of little boys until I had one of my own. My little son is all boy – he loves to create loud noises, kick things, punch, and throw. In fact, just the other day, my little toddler accidentally threw my phone at me giving me a black eye. Mesmerized by absolute destruction, my little toddler is completely smitten with the Destruction book series. 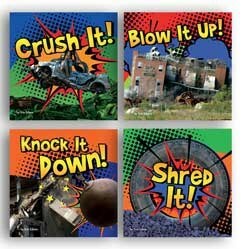 Written by Erin Edison, the Destruction series features four extremely sturdy books: Crush It!, Knock It Down!, Blow It Up!, and Shred It! Devouring the pages of these fascinating books, you learn how buildings are knocked to the ground, view old cars crushed to pieces, witness old bridges being blown to smithereens, and watch as old tires shred into thousands of pieces. Illustrated using bright colors, the Destruction book series will become an instant family favorite. With many tabs to pull and flaps to open, these interactive books will captivate every child’s imagination. My mischievous little toddler adores the Destruction book series. He enjoys sitting on my lap and pulling the various tabs while we learn together what happens to old cars, buildings, tires, etc. 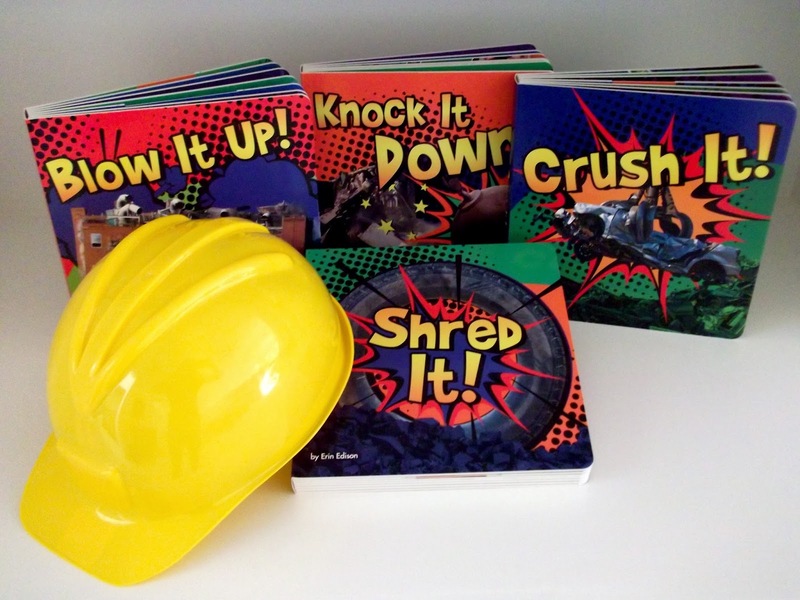 My son often giggles as I like to exaggerate each “Boom” and “Crash.” These are my favorite books to read with my son – they are full of excitement and interaction. To purchase the Destruction Book Series ($35.99 for all four books), visit Capstone Young Readers. Previous Post: « Top 30 Must Watch Movie Releases of 2013!